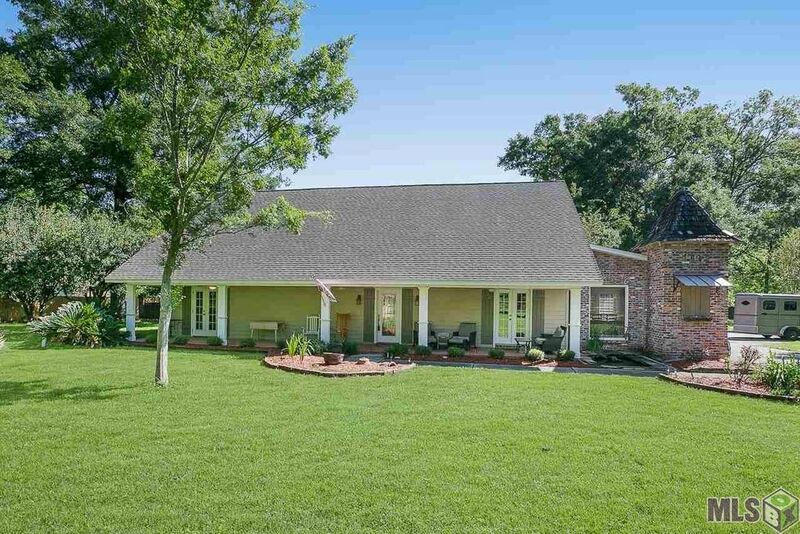 This Acadian beauty has charm and character that you will recognize the minute you open the front door. The wrap around balcony is overlooking the 2 story family room with a wood burning fireplace, built in cabinetry, travertine floors, and a view of the open patio, gazebo and pool area. Going into the kitchen you will see cypress cabinets, granite counters, real brick floors, large walk in pantry, wet bar and butler's pantry. Dining room/keeping room combo is full of natural light with a charming brick wall, heart of pine floors and beaded board ceiling. Enormous master suite with sitting area over looking the pool, 2 over sized walk in closets, coffee bar, large custom built marble shower, marble floors, jetted tub and double vanities. Upstairs has large bonus room, office, 1/2 bath and bedroom. 20 x 40 inground pool enclosed with brick columned wrought iron fence and travertine flooring around pool and on open patio. Also includes a slightly raised deck with gazebo. To finish the pool area is a 641 sq ft pool house featuring a kitchenette. Keeping the best for last, bring the horses. Acreage is fenced and cross fenced. The rustic barn has 2 stalls and tack room with loft for storage. Approx. 5 acres. House did not flood. House was remodeled and renovated in 2005. Seller is willing to negotiate all allowances on floors. Lot Size Dimensions: 200 x 1000 Approx.